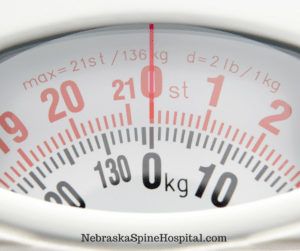 How do you determine a healthy weight? weight and what’s acceptable and what’s not. We are inundated with information obsessing over the human body and what looks good. This blog is not another one of those articles. We are not concerned about your body weight in terms of how you look, we want to talk about a body weight that has everything to do with your health and quality of life. There are a few quick calculations and tricks that you can use to determine what your personal healthy body weight should be. The first way to assess a healthy body weight would be to calculate your BMI, or Body Mass Index. This does require a little bit of math, but thankfully there are several sites you can go to where they do the calculations for you. One of the most legitimate sources you can use is the Centers for Disease Control and Prevention website, or www.cdc.gov. If you head to the ‘Healthy Weight’ portion of the website, you’ll see different areas for you to click on to assess your weight, and from there, to calculate your BMI. In a BMI calculator, you simply enter your height and your weight, and it determines if you are in the ‘normal’ range for your category. You are always tired. An improper diet full of foods that don’t provide actual nutrition can make you feel sluggish and exhausted all the time. If you are overweight, your body has to expend more energy just to move. You do not sleep well. Cortisol, a stress hormone in your body, is supposed to drop at night allowing you to relax and sleep. If you can’t sleep, it could be a sign that you are eating improper foods that is igniting that cortisol. Just move. Everyday. Doesn’t matter if it’s a walk, a marathon, lifting weights, or going for a swim, it doesn’t matter just do it. Find a way to break out in a sweat, get your heart rate up everyday. It doesn’t have to be intense, or long, or crazy…just move. Substitute one good meal. Let’s say you know your diet isn’t great, but just can’t switch over to whole foods yet. Just change one meal to be only whole foods, nothing processed. Try it for a week, then increase it to two meals. It takes patience to make changes.